Play new game Racing Is Magic for free online at our website Gamesmylittlepony.com. 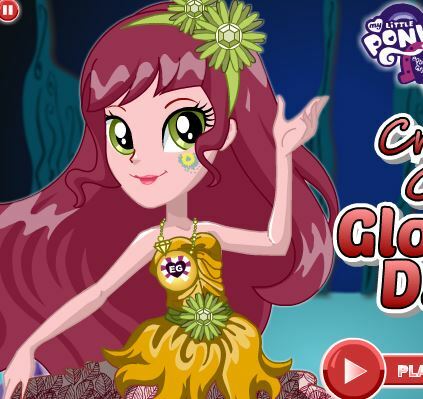 As you know, all the My Little Pony Games comes from the My Little Pony series film. The film tells about Friendship Is Magic, and praise friendship. The content of the film is Twilight Sparkle and her friends, they must find the way to rescue the nice Equestria Land. On that way, they meet many difficult things but they are united to get the success. Back to this game, you will participate in the My Little Pony racing. 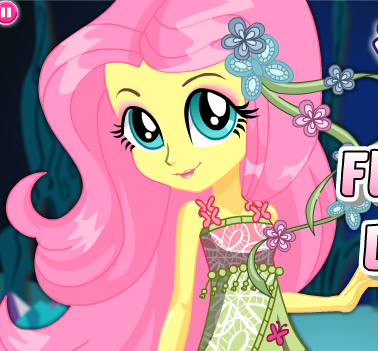 Here you will help your My Little Pony character win her friends in this racing game. But to do that, you must help her to concentrate her passion, mind as well. In the first game, you must choose a My Little Pony character. Then you will take your opponents. 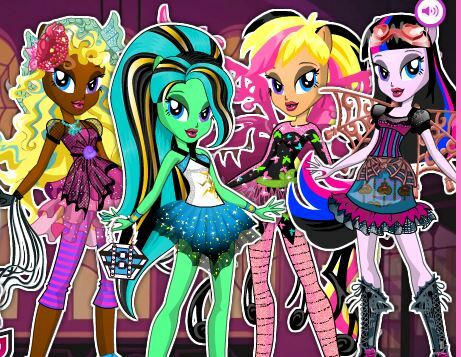 They can be Pinkie Pie, Apple Jack, Fluttershy, Twilight, Rainbow Dash...They are very cute and very makeup but this race, you must help your character to win. You need to be calm, confident and concentrated to play this game. In the playing course of this game, you will use arrow keys and ASWD to move your character. You must run, duck and jump by arrow keys. Besides it, you will use bar space to perform a super jump. Please make your action as quick as possible to get high score and win. 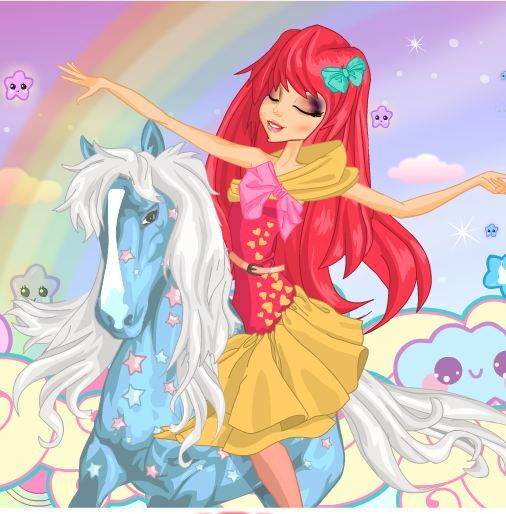 In our site, there are many My Little Pony games with full game categories as dress up, make up, racing, riding, caring, cooking,..It depends on the hobby of each person that they can choose that games but each game has good and unique features . You can choose them to enjoy and recommend to your friends, your relatives. All games are updated daily by us. We are always here and getting ready to answer all your questions about our game and our site. I hope that you can get the fun time at our website. 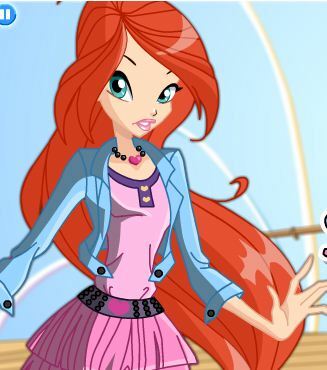 If you find the similar My Little Pony games, you can play Pony Racing, Horsey Racing, Derby Racing, Racing Zebra... We have also My Little Pony Coloring, My Little Pony Names, My Little Pony Pictures,..Very various here! First, choose your ponies. You'll need an Earth Pony, a Pegasus, and a Unicorn. Use the arrow keys to Run, Duck, and Jump. Use the space bar to perform a Super Jump (Earth Pony), a Dive Bomb (Pegasus), or Levitation Magic (Unicorn). Eat apples to keep your ponies' energy up. A golden apple will max out your energy. Avoid obstacles -- like water, branches, and a friendly cow -- that can slow you down. Click on an Alchemy Bottle (or use keys 1-4 on the keyboard) to unleash special pony magic. For a faster race time, pick up watch icons. These take time off the clock. Pass through hoops for temporary speed boosts. Gold hoops make your ponies go even faster! A different Pit Stop Challenge lies at the end of each level. The faster you complete it, the less time on your clock. Remember -- it's a race! The better your time, the higher your rank. Reach the highest rank to unlock a special reward! Use arrow keys to control this game. Bar space is very necessary for playing game.